A research team at Iowa State University received a $1 million grant for their continuing work on a wireless soil sensor that will help farmers dig up dirt on nutrients, moisture and temperature. The sensor will help farmers monitor the quality of their soil, and determine where to water and fertilize their crops. Ratnesh Kumar, professor of electrical and computer engineering at ISU and leader of the research team, hopes the sensor will help reduce nutrient loads across Iowa. “The entire state of Iowa has a single ‘prescription’ for fertilizer that is made at the state level,” Kumar said. “We should be making a recommendation for each farm.” By increasing accessibility to nutrient data, the sensor could make that a reality. 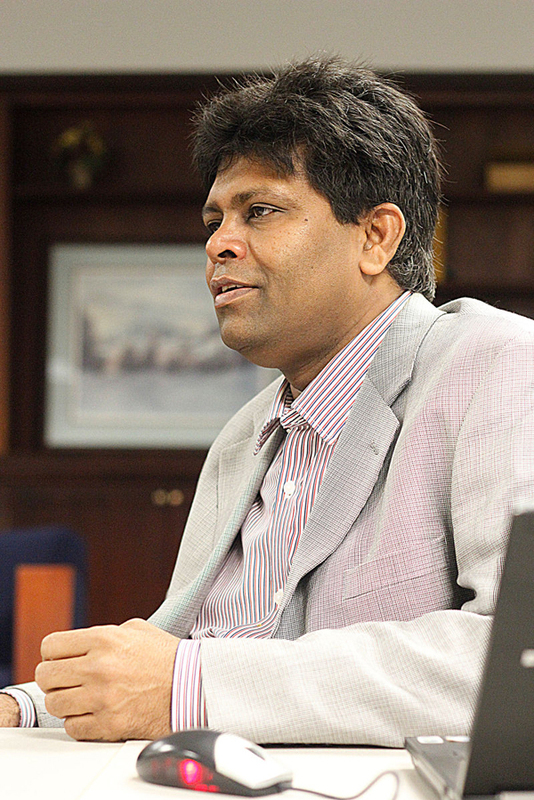 Kumar’s team was one of 17 awarded grants by the National Science Foundation’s Cyber-Innovation Sustainability Science and Engineering program. Developed by researchers from ISU’s agronomy and electrical engineering departments, the soil sensor monitors nutrient levels, moisture and temperature. The sensor measures conductivity and impedance to obtain soil properties with high precision. The current model is an upgrade of a previous version that was about a foot long — too big to conveniently place underground. The researchers minimized the design by working with metamaterials, fabricated materials that possess unusual electromagnetic properties. In doing so, they reduced the size to a square inch. One of the sensor’s distinguishing features is its wireless capabilities. Similar devices rely on transmitting antennae to protrude from the ground, potentially interfering with farming work. 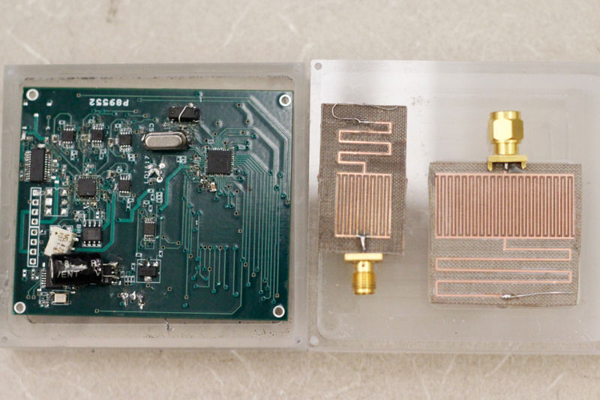 Kumar’s sensor can interface with laptops or cellphones without an antenna. Although the sensor hasn’t yet been used in the field, Kumar said he and the other researchers plan to test it once the weather warms up. Iowa, being the nation’s largest producer of corn, seems like a natural place to test the sensor. However, Kumar said his team is making connections with farmers in India as well, who would use the sensors to plan irrigation. “When oil spills happen, the oil basically floats on the ocean’s surface as a sheet,” Kumar said. Restoration teams use cleaners to break the oil into smaller particles, but some of the oil inevitably settles into the water column. “One thing we have talked about is using these sensors in the coastal areas to see how much of the oil is still there,” Kumar said. As the sensor development progresses, Kumar said the team may explore fitting the wireless interface onto other types of sensors.